It is hardly controversial to say that banks do not always serve the best interests of everyone, particularly those on low incomes. In fact, even some of those working in the financial services industry would agree that there are unmet needs which an effective industry should be addressing. The Financial Conduct Authority (FCA), the body that regulates the financial services industry, highlighted this recently in an occasional paper, confirming that access to mainstream banking is still a major problem looking for a solution. The paper cites research from the Centre for Household Assets and Savings Management (CHASM) at the University of Birmingham which states that around 1.87m people have absolutely no access to a bank account. Proportionally, younger people are more likely to be affected: 8 per cent of 18-19 year olds have no access to a bank account, and nor do 4 per cent of 20-24 year olds, or 3 per cent of those aged 25-29. While these figures look at the numbers of unbanked people in the UK, they don’t account for those who are defined ‘under-banked’, who compose an even larger number: the 8m people who may have a bank account but don’t actively use it, either because they feel more comfortable primarily within the cash economy or because their account feels “off limits” due to debts owed to the bank which will swallow any income through the bank’s right to “set off”. And then there’s those who have no access to services over and above the transactional, such as an overdraft facility, so supplement their mainstream banking facilities with alternative services, such as payday loans and other forms of credit. For some researchers looking at the financial services industry, the fact that so many people are without a bank account is a measure of their financial vulnerability. This is particularly the case because of the large quantities of research that purports to show a correlation between poor financial wellbeing and being outside of the mainstream financial services system (for instance, it has been reported that those who are defined as working poor and have a bank account are more likely to be saving money). But less research has been carried out to explore the actual lives of those who are unbanked or under-banked. There is a particularly noticeable absence of research that looks at people who are “unbanked by choice” (i.e. those who exit, or refuse to engage with mainstream financial services, on the grounds of a choice, perhaps to do with the feeling that banks don’t serve their interests or because consumers feel there is a cultural mismatch between their needs and the services). 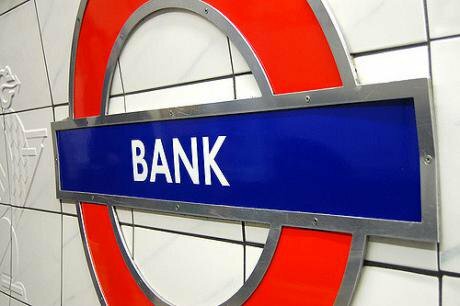 - Banked Only: households with at least one bank account that use banks for all financial services and transactions. - Cross-Over: households with at least one bank account that regularly use non-bank providers for some financial services or transactions. - Alternative Financial Services Only: households that do not have a bank account and rely on non-bank alternative financial service providers for financial services or transactions. - Cash Economy: households that do not have a bank account and conduct all their financial dealings in cash. Pew found that their survey participants said banks have more convenient locations, lower prices and better customer service than alternative financial service providers (cheque cashers, payday lenders etc.) but used those providers anyway. Location, price and customer service, it seems, are not always the most important considerations for under-banked consumers. In my own research I have reached similar findings. During a recent fieldwork, many of the people I spoke to saw no point in using a bank account to manage their finances. They felt they were better served elsewhere. As one person told me point blank: “I don’t like banks”. This provides a real challenge to policymakers and banks themselves. Talking about access to appropriate and affordable finance is one thing when assuming the onus is upon the banks to be better; but what happens when people reject those banks? How “better” can banks be at offering consumers products that they need? Basic bank accounts, put into effect by UK banks as well as falling under the EU payment accounts directive (PAD), are a much-needed intervention for reducing the barriers to access for those who have previously suffered from having no choice (particularly with the subsequent risk of paying the poverty premium on products such as consumer credit), but the lived experiences of those who actively exclude themselves has been less reported on. On the other hand, there are those that are excluded from banks without a choice. Research carried by Toynbee Hall has found that the main reasons for why some people find themselves excluded, aside from self-exclusion are: capability exclusion (language); price and product exclusion (additional services like insurance or savings are too expensive to bear); ID & verification exclusion; geographical exclusion (some 40 per cent of bank and building society branches have closed down since 1989); marketing exclusion; and values exclusion (such as religious values). The really tricky questions for us, as researchers and those interested in financial inclusion, are the following: what happens if some consumers never feel banks can provide for them? Also, what happens if banks always exclude a particular type of consumer? How can we best serve those who are financially capable, and yet defined excluded or self-excluded? These are questions for the future. What we do know now is that those people who are excluded need options; for those consumers who are excluded from mainstream services options can feel rather limited. Often the only options available are the ones we know are the most expensive: high cost credit. An interesting option is the introduction of Responsible Banking Ordinances (RBOs) in some US cities, from Los Angeles and Minneapolis to San Diego and Seattle. RBOs have their root in the Community Reinvestment Act: they assess the lending environment in a particular community, identify unmet need (i.e. financial exclusion) and make specific demands on depository banks regarding credit provision. A main component of the RBO is transparency: mainstream financial institutions are obliged to release information on residential lending information, small business lending, community development loans and investments, consumer loan data, branch closing policy and information regarding the number of minorities, females and city residents employed by the depository as loan officers/senior staff. A unique part of the RBO is the composition of a board. In addition to having representatives of local depository banks, they are obliged to have a lay member of the community as an independent observer. This brings a whole new dimension to shaping community investment plans and makes banks working in the area accountable to more than just internal shareholders. The Treasury is already publishing local lending data, but critics have pointed out how uneasy it is for alternative providers to use this to identify unmet need. The publication of such data needs to be consistent and include every lending organisation in a local area. This way, ethical providers can finesse their product range to the benefit of those currently outside of the mainstream. Essentially what a Responsible Banking Ordinance can do is make community investment and lending decisions more public and deliberative, particularly among those for whom investment decisions most affect. It can also ensure that lending organisations identify the unwillingly unbanked from the ‘unbanked by choice’. Financial services providers can plan around the needs of those people who fall outside of the ‘prime borrower’ category and barriers to access can be reduced even further.